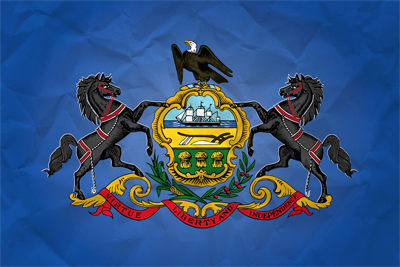 The recently-introduced draft law in Pennsylvania, the SB 900, reportedly imposes an exorbitant tax of 54% on online pokers GGR. This tax rate has been the core source of discord at the two hearings organized by the Community, Economic & Recreational Development Committee. Many representatives heavily criticized the clause in question. They argued that with such conditions, online poker will be profitable neither for the interested operators nor for poker players. Some even said that the decline in revenue experienced by online poker operators in Europe is partly due to inadequate fiscal conditions. In France for example, a 46% tax on Gross Gaming Product is instituted. To overcome this struggle, Frances online gaming regulatory authority ARJEL is considering a tax reform, along with possibility to establish an international player-pooling. Hence, many would suggest that the best way to ensure a better future for Pennsylvanias online poker industry is to follow the New Jerseys model. Recall that a 17.5% tax is levied on New Jerseys i-poker GGR. Senator Robert Tomlinson, for his part, showed fear that lower i-gaming tax rate would subsequently prompt brick-and-mortal casinos to shift towards digital gaming business. Optimistic, experts with strong knowledge of the industry suggested that the legalization of online poker would possibly make a possitive impact on the growth of land-based gambling establishments. According to reports from New Jersey, online gaming triggers increase in occupancy rate in brick-and-mortar casinos. In any case, there is a need for a prudent approach before passing the SB 900. A certain compromise is also of great alternative to bridge the gap between the tax rate proposed on the HB 649 bill, which was introduced by the Rep. John Payne, and that on the SB 900.